Below you fill find all funeral homes and cemeteries in or near Brookfield. Brookfield is also known as: Cook County / Brookfield village. Their current mayor is Mayor Kit P. Ketchmark. Zip codes in the city: 60513. Cook County funeral flowers can be purchased from one of the local funeral shops we partner with. Some of the notable people born here have been: (lou saban), and (dennis mcdonald). Brookfield (formerly Grossdale) is a suburban community in Cook County, Illinois, United States, 13 miles (21 km) west of downtown Chicago. The population was 18,978 at the 2010 census. It is home to the Brookfield Zoo. It was revealed by Chicago Tribune on February 22nd, 2019 that James B Vuchetich died in Brookfield, Illinois. Vuchetich was 98 years old. Send flowers to express your sympathy and honor James B's life. It was reported by Chicago Tribune on February 15th, 2019 that Nicholas Sasuta passed on in Brookfield, Illinois. Sasuta was 91 years old. Send flowers to share your condolences and honor Nicholas's life. It was reported by Chicago Tribune on February 13th, 2019 that John R Mrizek perished in Brookfield, Illinois. Mrizek was 84 years old. Send flowers to share your condolences and honor John R's life. It was reported by Chicago Tribune on January 27th, 2019 that Joseph F Sr Wysopal passed on in Brookfield, Illinois. Wysopal was 93 years old. Send flowers to share your condolences and honor Joseph F Sr's life. It was revealed by Chicago Tribune on January 6th, 2019 that Jo-Anne Vogt died in Brookfield, Illinois. Vogt was 74 years old. Send flowers to share your condolences and honor Jo-Anne's life. It was noted by Chicago Tribune on December 5th, 2018 that Ruth Ann Mrizek (Livesey) passed on in Brookfield, Illinois. Ms. Mrizek was 76 years old. Send flowers to express your sympathy and honor Ruth Ann's life. It was revealed by Chicago Tribune on December 2nd, 2018 that Carmella M Valaskovic (Stiso) passed on in Brookfield, Illinois. Ms. Valaskovic was 95 years old. Send flowers to express your sorrow and honor Carmella M's life. It was reported by Chicago Tribune on October 10th, 2018 that Ann T Boyd (Trepelas) passed on in Brookfield, Illinois. Ms. Boyd was 89 years old. Send flowers to share your condolences and honor Ann T's life. It was reported on October 7th, 2018 that Horace "Bud" Carlsen died in Tarawa Atoll, Marshall Islands. Carlsen was 31 years old and was born in Brookfield, IL. Send flowers to express your sympathy and honor Horace "Bud"'s life. It was noted on October 7th, 2018 that Horave Ernold "Bud" Carlsen passed on in Tarawa, Marshall Islands. Carlsen was 31 years old and was born in Brookfield, IL. Send flowers to express your sorrow and honor Horave Ernold "Bud"'s life. Prospective buyers were enticed with free train rides, brass bands, picnic lunches, and an inevitable sales pitch. It was chosen after a contest to choose a new name yielded “Brookfield” in respect for Salt Creek, which runs through the area. In 1920, the old Plank Toll Road, now called Ogden Avenue (US Hwy 34), was paved, providing easy automobile access to and from Chicago. 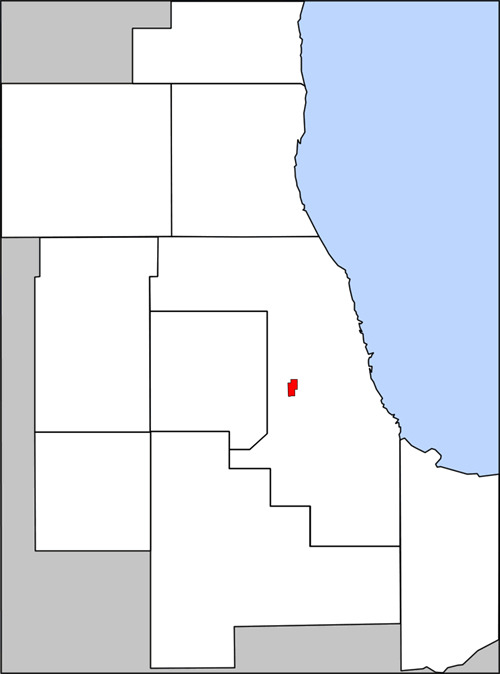 Brookfield (formerly Grossdale) is a village in Cook County, Illinois County, Illinois, 13 miles west of Chicago. The zoo is located on land given to the Forest Preserve District by Edith Rockefeller McCormick in 1919. The official website for the city of Brookfield is https://brookfieldil.gov/. Find a map, directions and more for Johnson Funeral Home in Brookfield, IL. Listing all funeral homes in Brookfield, Missouri so you can easily send flowers to any location (same day delivery) or find any funeral service. We work with local florists and flower shops to offer same day delivery. You will find budget sympathy flowers in Brookfield here. Our funeral flowers are cheap in price but not in value.